Those of you who have listened to my ramblings and rhapsodizing of this amazing floral source over the years, know that I am an enormous fan of our Black Button Sage Honey. But if you know this, then you also know that it is a very elusive source of nectar and in fact this last year was the first time since 2011 that we could even gather enough to offer it to you as the wet El Nino conditions created a favorable environment. To put this in perspective, there have been about 12 years since the early 60’s when these conditions existed and increasing droughts only make it less and less likely that we will see many crops of this unique honey. Black Button Sage, or Salvia Mellifera as it is known in the botanical kingdom, is found almost exclusively in California (there is some that grows in Mexico as well) and always along the coastline. Our sage blooms are found in Monterey, CA as the boxes are set at about 2000 ft. elevation and in a lucky year like 2017 the bees will forage and find this amazing plant and bring enough back to the hives so that we can harvest it for all of us lucky humans! This gathering is typical of the lovely light amber, hay-like color associated with this floral source; and it has pleasant high notes of herbs and flowers with a rich texture. 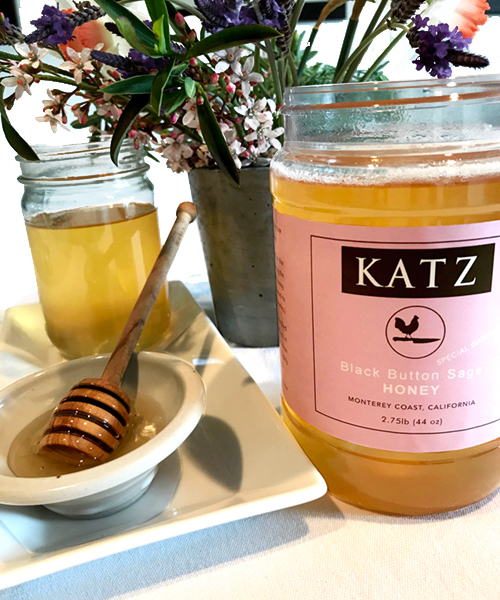 This very approachable honey has a myriad of culinary uses…but to truly savor its virtues, pull out a spoon and indulge…you will be amazed at the depth of flavor. Limit 2 please...This size is equivalent to 2.75 jars of the 16 ounce size!